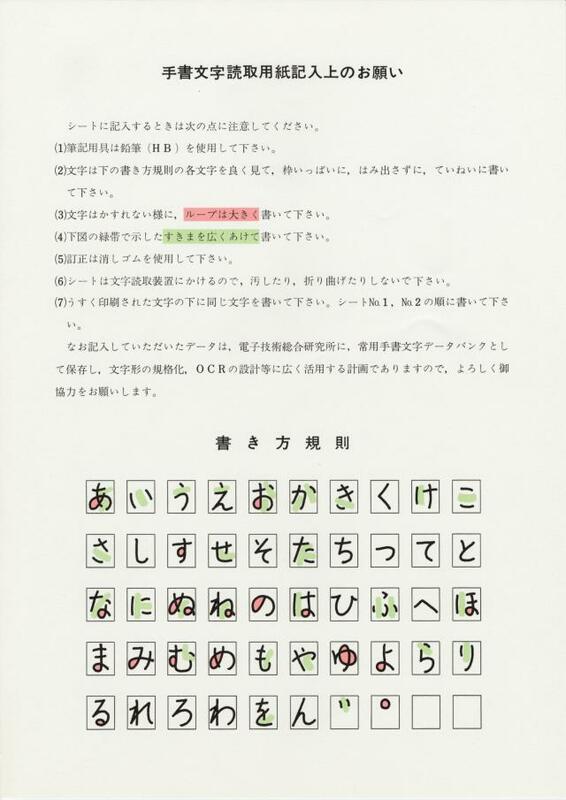 ETL7 was compiled from OCR sheets of Hiragana 48 characters written by 175 people from OCR users, companies, universities and public officials which was scanned by TOSBAC-40C system at Electrotechnical Laboratory in 1977. Data format is the same as ETL1. Please refer to ETL1 for sample code.